I have been asked to give a talk on ‘What makes people give? Creative Fundraising and Sponsorship’ at UCL organised by Free Hype – An innovative student led volunteering project and society at University College London. They provide free, creative solutions to small London charities. I will be talking about my experiences of receiving Sponsorship from past companies including Gillette as well as friends/artists who have achieved crowd-funding for their projects. 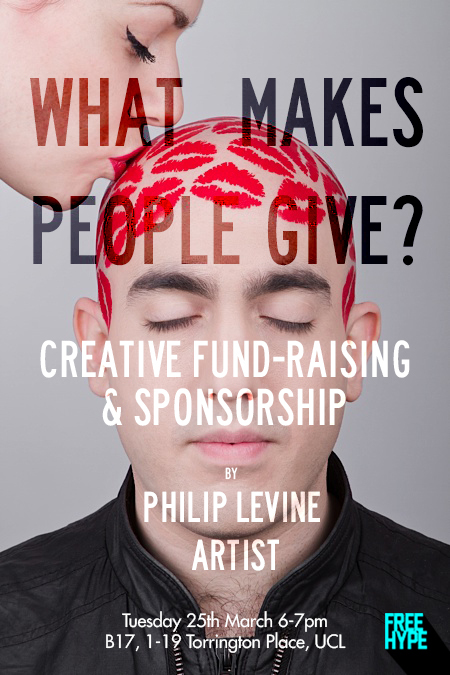 I hope to give an insightful view into what makes people and companies give.